The celebration of the birth of the child for many parents becomes a real challenge. After all, if the child invites friends home, parents then waiting for the final cleaning and the assessment of the damages from broken dishes and overturned flower pots. It is better to direct children's energies to the benefit of and to play and to learn new things, and test their strength. There are plenty of places where happy to see the children ready and give them an unforgettable holiday. Chain of family cafés Anderson not only arrange for a child gatherings with delicious desserts, but also will give the presentation. In Anderson many holiday programmes for children of different ages (from 3 to 12 years). And it can be not only clowns, pirates and fairies. Do you want to triple a real "paintball", where the role of paint are whipped cream and fresh eggs? And play Mythbusters and to set up an experiment? Fun to be around! And those children who want to entertain their guests with culinary masterpieces welcome to the cooking master class in the Studio Julia Vysotskaya. 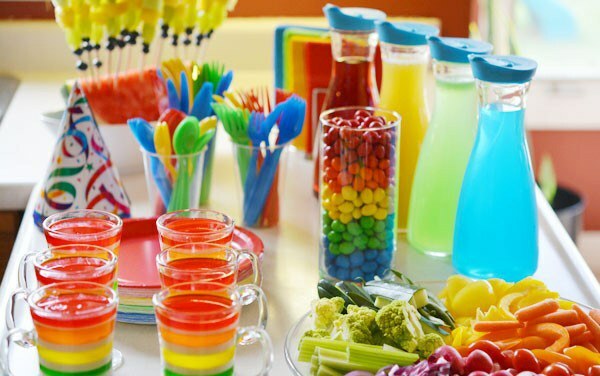 Together with a professional chef, children will prepare delicious cocktails, ice cream or special desserts. And, of course, then it all prodemonstriruet. And podkreplyalisj children will force to game with an animator – show of soap bubbles, magic tricks or science experiments. A popular venue for children's parties and have now become museums. Where as not there in the form of a game, you can do a children's excursion, to talk about the exhibits, hold a quiz and interactive game. For example, in the Darwin Museum are waiting for children from 6 to 13 years old, ready to learn new things about our planet, to return to the past or to interact with exotic animals. The state Museum. A. S. Pushkin invites children to celebrate a Birthday in Russian manor" is the name of the festive program, which will allow children to explore the three eras. First, the guests will celebrate the birthday in Russia, then learn how celebrated the nobility of the Pushkin era, and finally, learn to congratulate all the rules and according to etiquette. And at the Museum of Animation, children will learn to make real cartoons. Under the guidance of experienced animator guests to learn how to write the script and implement your plans and the results of the work will receive the DVD as a gift. And, of course, is the film about the birthday boy. But if the children are younger you can always find options with Moody teenagers will be more difficult. They're not an animator, but I want the thrill and the ability to brag to your friends. For the brave and physically fit can offer a climbing wall with special wall adapted. Moreover, such "exotic" is suitable for children from 6 years (climbing centre BigWall). And thrill seekers can fly in aerotrube. This game is more suitable for teenagers from 10 years due to high pressure and strong air flow (younger children are just scared). Two minutes this free flight (under the supervision of an instructor) enough to feel like a real astronaut. The biggest aerodynamic complex "FreeZone" is located at the Simferopol highway and takes wishing any day by appointment.